Cattails in the Meadows is located between W Ken Caryl Avenue and S Kipling Street in Littleton. These townhomes consists of 72 homes with 1500-2100 finished square feet. Kids in the area will attend Stony Creek Elementary, Deer Creek Middle, and Chatfield High School. This location is ideally located near several restaurants and shopping spots. Ken Caryl Sledding Hill is located near to these townhomes and the entry to this place is Free! These townhomes have 2 car attached garages with few walk out basement. Majority of these homes were built between 2006 and 2015 in 1500-1800 above square feet. See what your Townhome is worth With an Instant Home Valuation Online. Want advice on selling your Townhome? We provide a free staging consultation, pre-listing prep plan, and a Cattails in the Meadows real estate market analysis. Call us at 303-325-5690 to learn more. New to the Area? 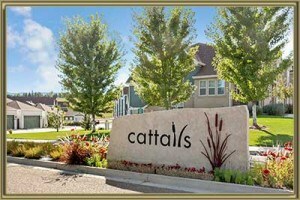 Call our Cattails in the Meadows real estate agent at 303-325-5690 to schedule your tour of Townhomes in Littleton CO.